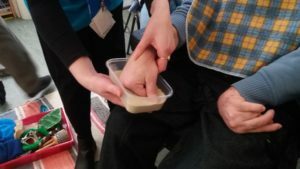 Our innovative SensationALL service team are always thinking of new activities to incorporate into our sessions as it’s really important to us that all users get the most out of attending (no matter how complex their needs). 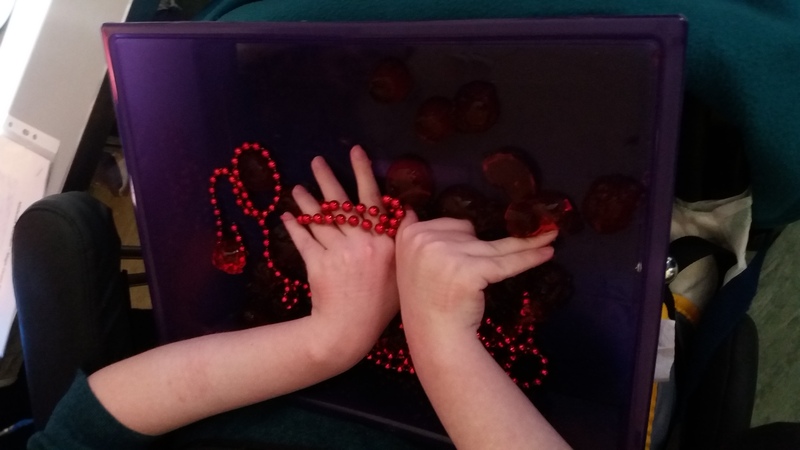 SensationALL services are for children and adults with multiple support needs and sensory impairments so we use a variety of multi-sensory materials and activities that stimulate and engage and recently sensory stories have become a significant part of what we do. Sensory stories are a key feature of our new Midweek Mayhem adult sessions. 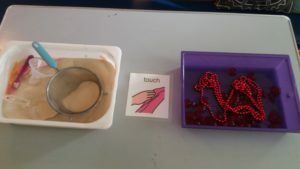 Each week we will be going on a ‘Magic Carpet journey’ – using our senses to explore the place we ‘visit’. By using interactive elements during story-telling (sights, sounds, touch and scents) we take the group on a virtual journey. Using their creativity, our staff come up with a variety of materials relating to the chosen story and while reading it, offer everyone the chance to interact by touching, smelling, seeing and hearing. This hugely beneficial for the service users as they are actively involved with the story rather than simply listening as they may have difficulty following or understanding the spoken words. To set the scene we had a background image and music from an Arabian market on the smart board. Our story took us through Egypt, where we encountered snakes, camels and belly dancers! We used materials to look, listen, feel and smell during each part of the story as an interactive experience. The textures of sand and jewelled jelly and the smell of mixed spices encouraged them to explore and try new experiences. We can’t wait for our next magic carpet ride to China to celebrate Chinese New Year! If you want to join us, our service diary has more information on whats on at the Old Schoolhouse this term.